I requested this book from NetGalley because, as a new writer, I am keen to find ways to successfully promote my books. I settled down to read it, looking forward to all the amazing insights it would offer. I wasn’t completely disappointed, and I have scribbled down a few notes on websites to look at and things to try, but I did find that many of the suggestions were not suitable for me personally. I write fiction and currently I am only published in e-book format. A number of the ideas were really aimed at print releases, with a heavy leaning towards non-fiction writing and also self-publishing. Considering it states the ideas are low cost on the cover, I found that this was not always the case. Recommending spending $300 on a book trailer hardly seems low cost to me. From my personal stand point, I wish to find some ways to advertise and promote, but I am not yet earning enough from sales to spend more than a handful of dollars here and there. This knocks out the suggestion for having marketing/promotional materials, such as bookmarks, printed, unless I found a really good deal somewhere. 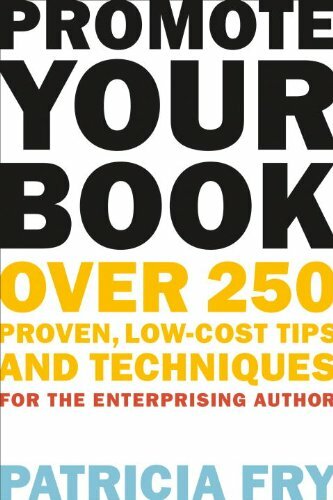 I think this book could be useful to writers who specialise in non-fiction print releases and have disposable income to spare, or for self-published authors who have to plan distribution etc themselves. But it is probably not the right book for e-book fiction authors as many of the suggestions will not be relevant and the ideas that are could be easily found elsewhere.